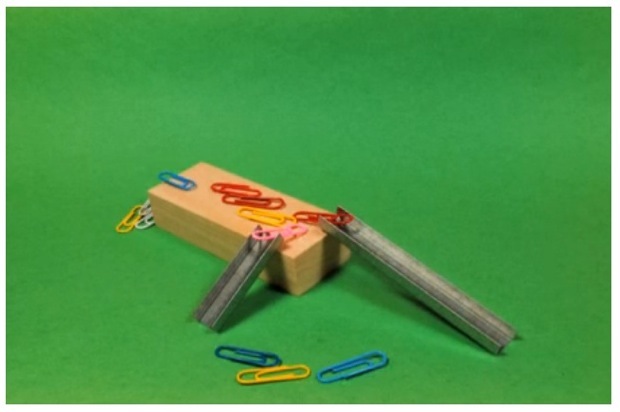 Who knew that paper clips and staples could teach such smart life lessons? Everyday objects you might find at your desk are the stars in Hints for Better Living, a short film by Los Angeles-based designer Mike Afsa, who also does work for companies like Chiat\Day and Quiksilver. This is the second film by Afsa (see the first one here), who had a habit of playing with office supplies at his desk. He realized that the tools he used for graphic design could be used to spread a positive message. He created mini-PSAs inspired by the tools themselves: simple, playful and humorous. “Some of the ones I like most happened more spontaneously by restricting myself to a few random objects in front me and playing with them to make a simple problem and solution,” he tells us. “The unexpected outcomes were rewarding and I felt like this way of working was staying true to the message.” The soundtrack comes from Afsa’s own recordings and the music of Lullatone.